Unfortunately I am 99.5% certain that is faked, the brain is just playing back, frame by frame, a recording of someone playing doom on a different platform. It’s kind of obvious when there’s no one touching the screen and there’s no controller or radio plugged in. Awesome this was finally done! We were wondering how many weeks it would take for someone to do the port one the V5 was released. Looks like the radio is plugged into port 21. Also the code is available on GH. This is the function that updates the controller input. Thats a usb cable plugged in, although I’m interested to see/run the code. Hopefully it works. You can see a wire come out of port 21 that’s above the USB. That could be a radio wire. Side note, where the heck do you get the files to even run Doom? 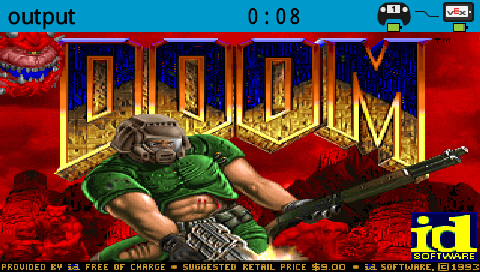 Edit: NVM, see that Doom actually has source code released. Yea I’m convinced now, I can’t believe I missed that cable in port 21, I can see that now. Pfft, github or go home. DOOM port for the Vex V5 Robot Brain. Contribute to sealj553/VexV5Doom development by creating an account on GitHub. something to keep me occupied between matches. Though I haven’t had time to try it. so how does this work do you just download that code and upload it to the brain or is there something else you need or something else you need to do? On topic: This is way, way more fun than I thought it would be. Will definitely keep for break times at competitions. 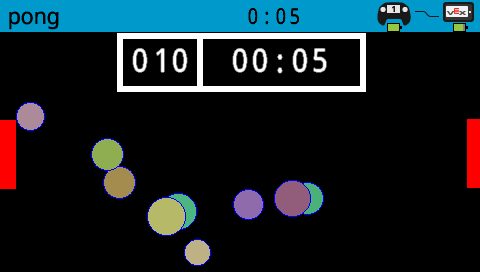 Screenshot of the pong game from a few posts back. 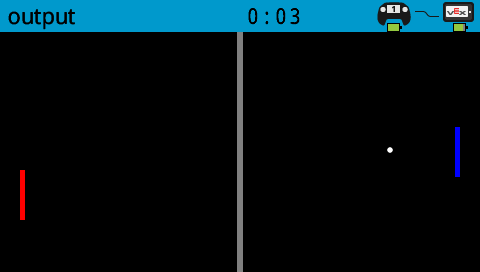 and here’s a silly “sort of” pong demo I wrote in VCS a few weeks ago to show how to use the back buffer in VCS to get smooth animation. another stupid question does all the code for doom and pong work if i put it in pros and then upload because i dont have VCS? yes, if you have PROS installed, then you can just grab the project from the GitHub repo, build and upload to the V5. 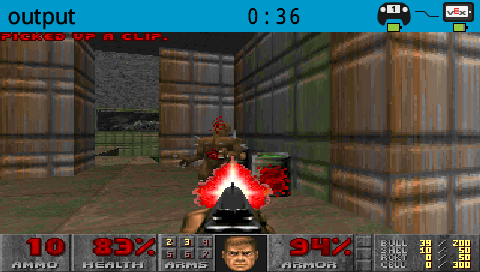 For Doom, follow the instructions to place the assets on SD Card.